Lauren Loves Laughter: My Summer Capsule Wardrobe - a very belated post! My Summer Capsule Wardrobe - a very belated post! 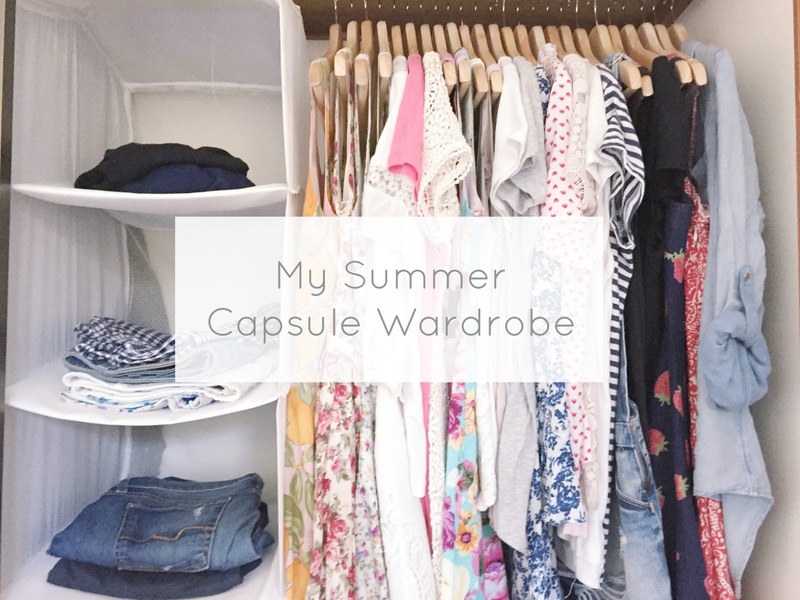 So this post is very late seeing as we are now well into autumn, but I shared a video showing my Summer Capsule Wardrobe a few weeks ago and just realised that I never actually popped it up on the blog! So here it is now! These are the 34 pieces I was wearing all summer (and a fair way into March too) and I think it really goes to show that capsule wardrobes don't always have to be neutral or monochrome! I've loved my colourful summer capsule, and am so happy that I was able to make all the colours and patterns work, while still sticking to a reasonably minimal number of items. In the words of Caroline from Un-fancy, this number felt "generous yet still minimal" and I didn't feel restricted or bored at all. It's so nice to have a clutter-free wardrobe, filled with just the things I need and none of the excess, and I intend to continue this "capsule experiment" through autumn and beyond - now that I've started I don't think I can go back! I hope this can give you some inspiration if you're in the northern hemisphere and heading into spring and summer! If you need some advice on how to put together a colourful capsule wardrobe that really works, you can check out my post here where I share my tips.